Home » Altcoins » What is Wagerr Coin (WGR)? What is Wagerr Coin (WGR)? 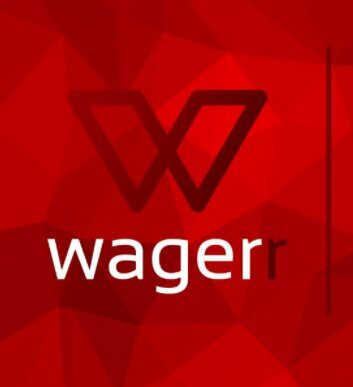 Wagerr Coin is a complete sports betting portal based on a decentralized Blockchain. The company opens up the global sports betting market by offering a better and safer betting experience. Smart Blockchain technology creates betting contracts, validates sports events and automates payouts. The system is decentralized and self-regulating, enabling customers to place safe and private sports betting. The company has a market capitalization of US$9,074,275 with a daily trading volume of US$34,205. There are currently 183,000,000,000 Wagerr Coins of 198,360,471 in circulation. 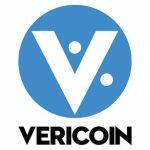 Thus it achieves the 222nd place in coinmarketcap.com’s token ranking. The CEO of the company is David Mah. He is a practicing physician in Australia, but has developed a certain passion for the possibilities of blockchain technology since 2013 and has been committed to it ever since. The lead developer is Robert Christensen. Other team members are Thomas McLaughlin in the position of Support Administrator and John Choi as Full Stack Developer. What is so special about Wagerr Coin? The project offers users three ways to earn money. On the one hand, of course, by placing sports bets, which are settled via so-called oracles. The main function of Oracle Masternodes is to regularly publish new upcoming events in the sports world so that users can rely on their results. Wagerr uses a new type of Smart Contracts for sports betting, the Application Specific Smart Contracts, or ASSC for short. ASSCs are single-purpose blockchain smart contracts that only accept fixed parameters. The advantage is that an Oracle MasterNode network secures them and quickly verified by consensus. This allows Wagerr to ensure the highest level of functionality without risking network security or currency stability. Sports betting is not exactly known to be a safe investment for the masses because no matter how much expertise the player has, it is still a kind of gambling. Therefore, Wagerr offers users the opportunity to earn money with the project by becoming operators of an Oracle master node themselves. Half of the fees for sports betting that are settled via his master node will then be paid out to the user as a reward. A third and probably the easiest way for the user to earn money with Wagerr is to keep the Wagerr Coin as an investment and to wait for the increase in value. 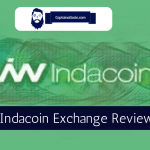 Generally speaking, this term refers to the systematic link between the use of a token and its market value. In the case of Wagerr Coin, this means specifically on the connection between the betting volume over the Wagerr network and the price of the Wagerr token. This is achieved by destroying one of the betting charges, 48%. The remaining 2% will be retained by the company to cover its expenses and project development. The coin supply will be reduced, while new sports bets will continue to be processed via the platform. This value-coupling mechanism works like a deflationary engine that will increase the value of the token over time. WGR can also be earned by staking on new wallet. You can buy directly with FIAT on WavesPlatform DEX; one could either get ID verified (limited countries) or buy it with Credit Card, BTC or WAVES. Thanks to the deflationary nature of the system and its self-regulatory aspects, the Wagerr Coin has the potential to add value and become a safer, long-term investment. It is commendable that only 2% of the fees for the project and the team behind it are accepted. This gives the impression that the company does not primarily target its profits. If the project remains on track and implements the objectives of its roadmap, it will become a customer-friendly sports betting portal with many extras and betting opportunities. You can’t buy it directly for fiat on any exchange. You can choose the best bitcoin exchange for your region and buy BTC there, then trade it for WGR. Learn here how you can instantly convert altcoins to bitcoin and vice versa. Best and safest option to store your coins is to download an official coin wallet and store it on a hardware wallet – best option and our recommendation is Ledger Nano S.